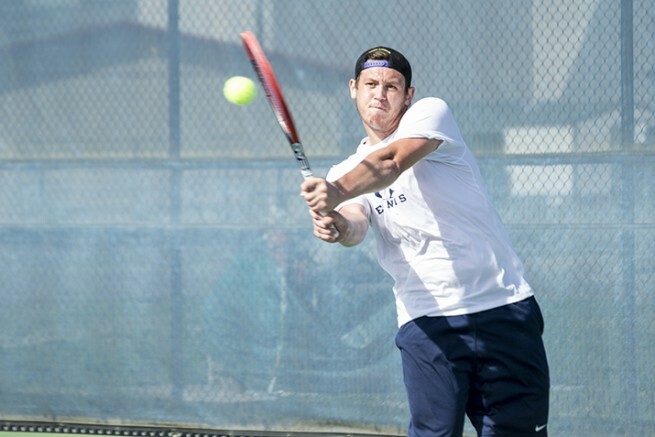 American River College’s men’s tennis team shows no signs of slowing down following its 9-0 shutout of Folsom Lake College on Saturday. The win puts the team’s overall record at 4-0 on the season and comes on the heels of a win at the Modesto Junior College Tournament, a first for the program. Coach Bo Jabery-Madison thought the team played well and praised the endurance and enthusiasm of the players. The team has only dropped two matches over the course of the season and looks on track to add its 5th straight Big 8 conference championship. Jabery-Madison also said that while the wins early in the season are nice, they are looking towards the bigger prize. Freshman Alix Meliuk said that teamwork and work ethic is a big reason why the team has been so successful. Sophomore Seppi Capaul praised the team’s togetherness and enthusiasm when cheering on teammates. Capaul also said why he thinks that tennis at the college level is better than at the professional level. Jabery-Madison said that the team’s willingness to bond and support each other is what makes college tennis what it is. ARC will continue their quest for a state title on Tuesday when they host Big 8 rivals Shasta College. 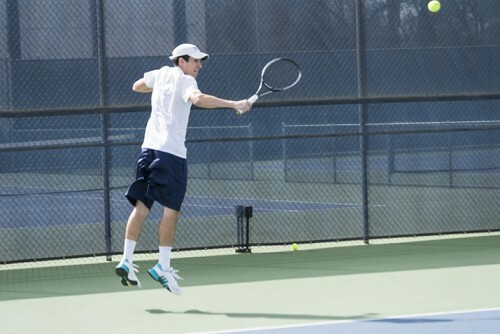 Be the first to comment on "ARC men’s tennis team continues to roll with shutout victory over Folsom Lake"